This project consisted of a new building with 59,850 square feet on the first floor and 12,000 square feet on the second floor. 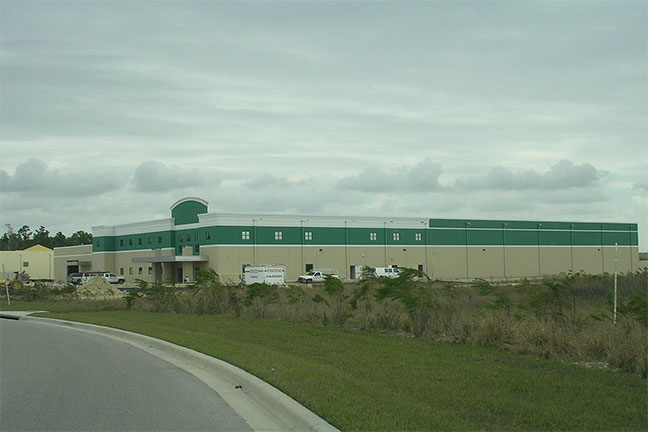 Structural elements consist of pre-cast concrete floors and a roof supported on concrete columns and beams, with exterior walls of pre-cast panels. The foundation is on spread footings. The building was designed as an “essential facility” with higher than normal wind capacity. The project was completed in 2006 with construction costs of approximately $3,830,000.